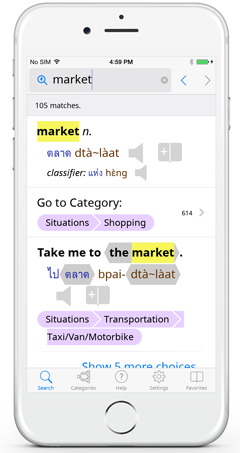 In September 2016, after a massive effort of more than three years, we released the 2.0 upgrade to our Thai Dictionary app for Thai Dictionary App for iOS (iPhone/iPad/iPod Touch), bringing with it a huge set of new features. In February 2017, we followed that with equally massive upgrade to our Thai Dictionary app for Android. We are currently working on the same 2.0 upgrade for our Thai Dictionary app for Windows Desktop/Laptop. Below is a sneak preview of just a few of the new features to whet your appetite. On Windows, we are looking for a few good folks to help test the apps before release. This gives you an opportunity to try out all the new features before everyone else, plus give us feedback that helps influence the app's direction and future features. For testers who join early in our Beta process, if you haven't already purchased our app, we can also provide you with a free copy on release too. Testing is fun but we do need people who are willing to spend a bit of time trying out the app features, reporting any problems found while trying to narrow down exactly when they happen, and then trying out a new version to verify that we fixed any issue you found. The ideal candidate will be someone detail-oriented and who has enough knowledge of the basic terminology of using iOS/Android/Windows that if you encounter an issue, you can explain it to us clearly enough that we can reproduce and fix the problem. You don't have to be a programmer, and sometimes screen shots can be worth 1000 words, but some basic knowledge of terms like "touch" and "long-press" and "status bar" can be really helpful. If the Windows beta test sounds interesting to you, contact us at support@word-in-the-hand.com. 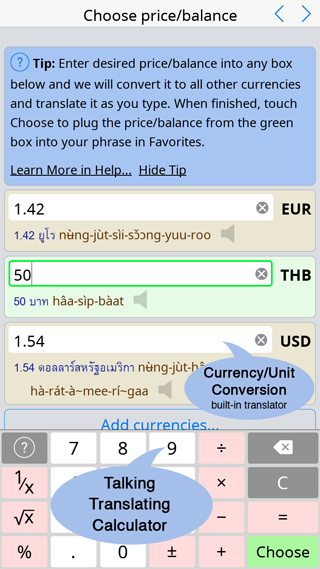 The 2.0 release includes thousands of new Thai words suggested by dictionary users. The app links to a Suggest screen where you can easily request a new word/phrase. 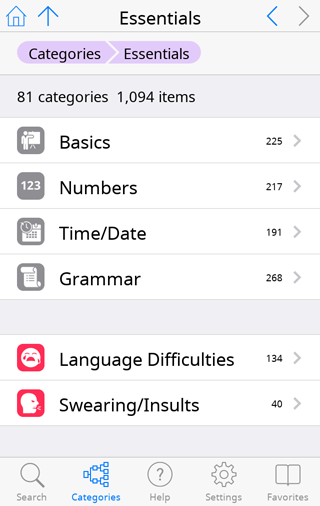 As we announced in 2014 and explain on our comparison page, the upgrade includes all the features, categories, and vocabulary of our Thai phrasebook app. 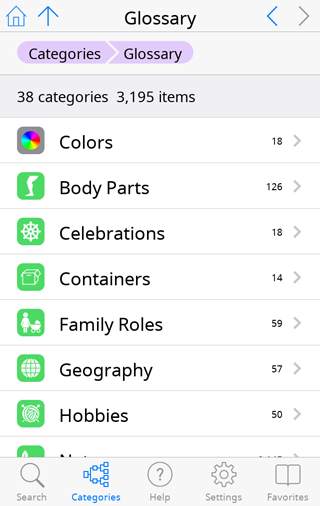 The 2.0 app's powerful Search screen not only searches the 195,000+ dictionary entries but also Full-Text Power Searches every word of every phrase in Categories as well as the category names themselves, so it is the central place to find what you need. As always, every single word, phrase, and complete sentence has a crisp, clear, fluent sound recording of a Thai native. In combination with our new Favorites screen (see below) our app becomes an even better study tool. 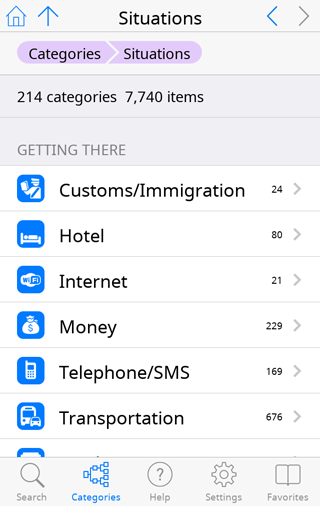 Our dictionary and phrasebook apps go way beyond the standard paper phrasebook model. Our amazing customizable super phrases let you build exactly the sentence you want. Here you can use our built-in talking, translating calculator to type or calculate any number you want. Notice how we show multiple currencies so you can type the currency you are familiar with (e.g. your home currency) and get instant conversion and translation to all other currencies (e.g. the vendor's currency). You can even touch the play button to speak any money amount in Thai. Finally, touch "Choose" and you will be returned to your original phrase with your new money amount filled in. You can then touch the play button to say the entire phrase (with your new money amount) to the vendor. We support every unit you might need and you can even make a convenient "short list" of frequently-used units. Covers all your needs when buying at the market or the shop. Super phrases aren't just for numerical quantities and dates either. Other Super Phrases let you fill in places ("I want to take a taxi to..."), help you shop ("I want it in red/blue/green"), help you translate important dates and times for both transportation ("My plane leaves at ... on ....") and appointments ("Are you free at...? "), and many other uses. Super Phrases are also great for more advanced learners who want to practice how to structure numbers, dates, and times in Thai. 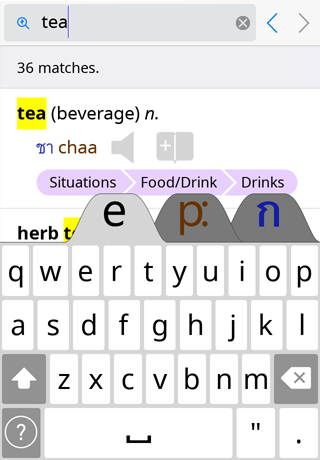 It's a nice complement to the extensive introduction to spoken and written Thai also included in the app. See our iOS dictionary page for more on Super Phrases. All matches are highlighted and sorted by relevance. You can even search for multiple terms (as in a google search) to find relevant phrases. This feature makes finding the phrase you want (and its related categories) a snap: you only have to enter one or two key words. Full-Text Power Search is also great for more advanced learners because, since it searches all 12,000 phrasebook words, phrases, and complete sentences in addition to the 195,000+ dictionary entries, it will find not only the word you have entered but also multiple sample sentences using those words. For more on Full-Text Power Search, see our iOS dictionary page. Use the Favorites screen to prepare the phrases you will need for a trip or errand, organize study lists of words you want to learn, or even put together a whole sentence or paragraph which you can touch to play all at once. Using our simple and intuitive interface, you can easily select multiple items, and move, copy, and organize your favorites as you please. Make changes with peace of mind, knowing you have 30 levels of Undo and Redo available. 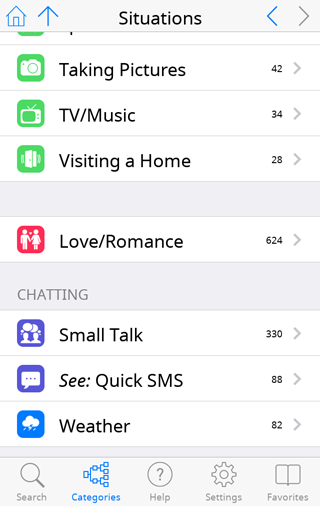 You can paste Thai or English words into the app and it will also switch sections automatically. On iOS and Android, the app supports system keyboards (those from Apple/Google as well as third-party keyboards like Skype) as well as our custom, built-in Paiboon keyboards, which give you dictionary-specific benefits. On iOS and Android you can also speak to your dictionary using dictation. These are only a few of the many new features that will be included in our 2.0 release. We just wanted to show you all the progress we have made as we are very excited that it will be available soon! For a more complete list of features, see our dictionary page.